English language support | "Learning for Life"
KIST recognizes that all teachers are language teachers and that language must be taught across the curriculum, not only in designated language activities. It is also recognized that each student is an individual with an individual learning style and individual needs. With regards to English proficiency, teachers tailor classroom activities to allow students to develop to their full potential. In addition to such differentiation, English language support is provided to students identified in need for such assistance. Before starting classes at KIST, students are pre-assessed by an English language support instructor or a relevant classroom/subject teacher using a standardized English language assessment, which is divided into the areas of reading, writing, listening and speaking. The results of the assessment are used as the first indication of which level of support will be required from the classroom teacher and the instructor. While receiving English language support, student progress is assessed continuously through standardized reading level benchmarking, student work samples, participation in class discussions and observations. Progress related to English language support is reported in a supplementary report sent home with each semester report. A mix of two models of support, push-in and pull-out, is used to facilitate English language learners’ access to the curriculum and English language development. Pull-out is when one student, or a small group of students with similar needs, is taken out of the main lesson by the English language support instructor for a separate lesson. In contrast, the push-in model is when the instructor works within the main lesson together with the classroom teacher. In both cases, joint planning between the instructor and the class teacher ensures that the unit objectives are met for all students and that students’ language needs, individual learning style and other individual needs are all taken into consideration when differentiating instruction. To enable students the maximum opportunities to use language in meaningful contexts, particularly in their interactions with English-fluent peers, the push-in model is chosen most often. The instructor, therefore, usually provides differentiated scaffolding and adapted resources within the main classroom. However, there are times when a pull-out session is deemed the most effective way to achieve review of content or skills. A series of pull-out lessons may be established, however, pull-out sessions are often one-off lessons to consolidate understanding before returning to the next lesson in the main classroom. As part of the Co-curricular Activities Program across the school, a range of academic clubs and support classes are offered. In the Elementary School, Learning Enhancement Academic Program (LEAP) support class are offered before school each day for students in K3 through to Grade 5. These 30 minute-long lessons focus on various English language skills and those eligible to do so may attend between 2 to 5 times per week. Class sizes are limited, and the students with the highest English language needs are given priority. Two pathways for English are provided for students in Grades 6 through 8 and for students in Grades 11 and 12 as shown below. Grades 6 – 8 Language and Literature Designed for native or near-native English speaking students or those who do not require language support. It is a literature-based subject that requires full proficiency in reading, writing, listening and speaking skills. Language and Literature with Additional Intensive English Support Designed for students who need additional support accessing the curriculum in English. Students in the Additional IE Support classes participate in the mainstream Language and Literature course and have a modified timetable to allow for additional English classes each week to provide personalized support. Students can be recommended for exit from the Additional IE Support classes upon high achievement in summative assessments and successful taking of our internal English test. Grades 9 – 10 Language and Literature Designed for native or near-native English speaking students or those who do not require language support. It is a literature-based subject that requires full proficiency in reading, writing, listening and speaking skills. (Higher Level) A rigorous course designed for native or near-native speakers of English who enjoy reading literature. It assumes in-depth understanding and high level skills in reading, writing, listening and speaking. (Standard Level) Designed for native or near-native speakers of English who have developed a good understanding of and proficiency in the English language, but may need further focus in developing high level skills in some/all of reading, writing, listening and speaking. Note: Students in Grade 6 to Grade 8 with Additional Intensive English Support classes do not study arts due to increased scheduling of English classes. Students study all other courses together with mainstream MYP students. Students receiving Additional Intensive English Support are expected to graduate from such support by the end of Grade 8. For new enrollments, English language subject allocation is determined from the results of an assessment test conducted at the time of initial application to enroll at KIST. 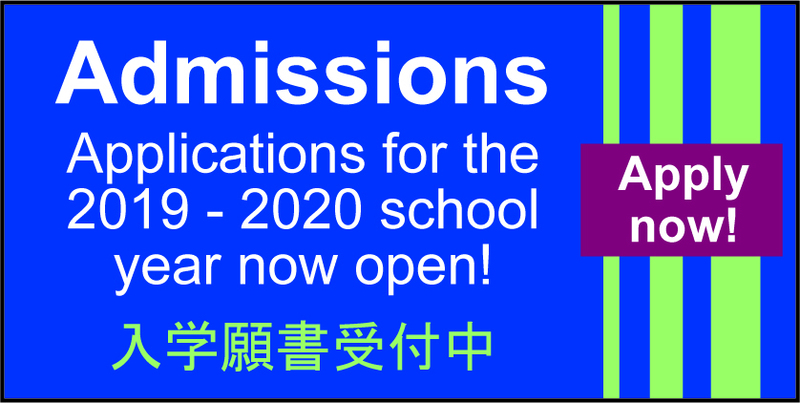 Students in Grades 6 through 8 identified as requiring language support will be placed in the Intensive English Class until they have developed the necessary skills to enter the Language and Literature course. By Grade 11, it is an expectation that students will undertake one of the Language and Literature courses. As in-class English language support is not provided to students in Grades 11 and 12, and due to the nature of the course of study, applicants seeking admission to these grades are likely to be unsuccessful if the results of their assessment test show that they would be unable to function independently in the classroom. In-class English language support is provided for students in Grades 6 through 10 who have not yet reached a level of English language proficiency which facilitates success in the classroom. All students nominated by their subject teachers, and reviewed by the English Language Support Coordinator, receive in-class language support. In-class language support is offered through measures such as: assessment and task scaffolding, vocabulary assistance and extension, small group sessions, research and assessment assistance, and other forms deemed necessary. English language support instructors work collaboratively with the subject teachers and coordinators to provide the best possible support for the students. 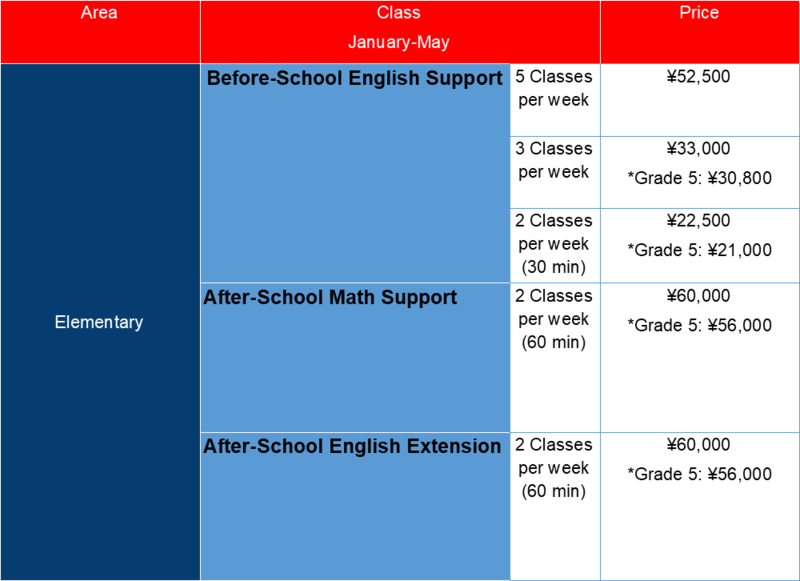 The progress of students receiving language support is tracked and monitored over the duration that they receive support. Students in the Secondary School are expected upon admission to have relatively strong English proficiency and thereby be able to function, with provided support if needed, in the classroom context. In special situations, out-of-class English language support ('pull-out' support) may be offered to support students in need. Such support may be provided outside of the regularly scheduled day (before/after school) or, upon consultation with the subject teacher, students may be pulled out of their respected subject time to work one-on-one with the English language support instructor to clarify or review content from the class. Students in the Secondary School in need of additional support in academic writing are enrolled in additional lessons throughout the week. Academic writing classes are intended for students who are in English Language and Literature but still need to improve their writing. Also, students who are in the English Language Acquisition classes for Grades 9 and 10 take part in academic writing classes. These classes develop student understanding of different writing genres and support students in using correct writing forms appropriate to the demands of the writing context. Academic Writing classes are held in the mornings before first period throughout the week.